These porcelain enamel heavy-gauge aluminum pans with riveted silicone handles are actually dishwasher-safe, according to the manufacturer. 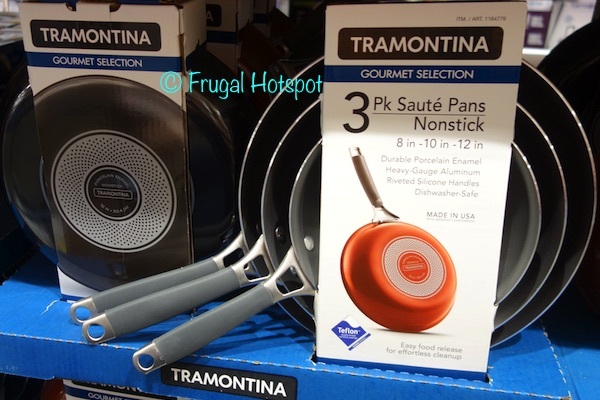 Select Costco locations have the Tramontina 3-Piece Nonstick Saute Pans on sale for $22.99 (after instant savings), now through April 21, 2019. That is $5 off Costco’s regular price of $27.99. While supplies last. Item #1164779.